Please see below for our Under 18's policy. Bookings can be made online for groups of up to 20. During peak times, we recommend booking in advance to secure a time slot of your choice. 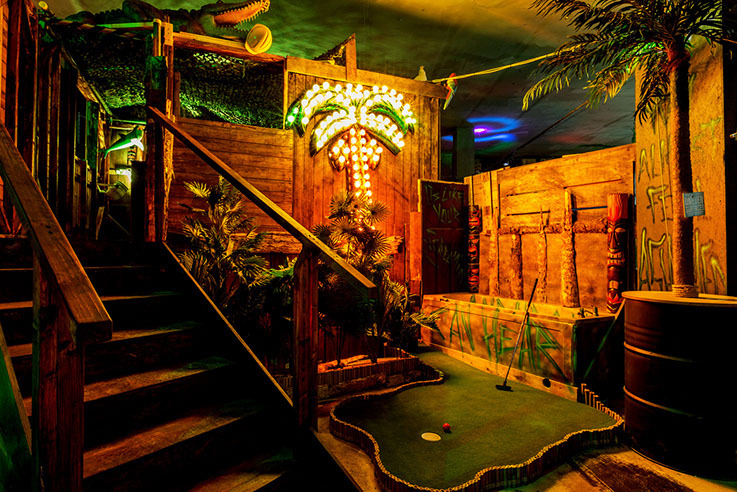 Groups larger than 20 should email bookingsmcr@junkyardgolfclub.co.uk to get puttin! Sunday to Thursday before 7pm, last entry 6pm. One paying adult must supervise every 4 under 18s. If you have a group of OVER 20 playas, please email bookingsmcr@junkyardgolfclub.co.uk. We’re really sorry to hear this! Please email customerservice@junkyardgolfclub.co.uk and we’ll be in touch within 48 hours to help! © Junkyard Golf Club Manchester 2019.